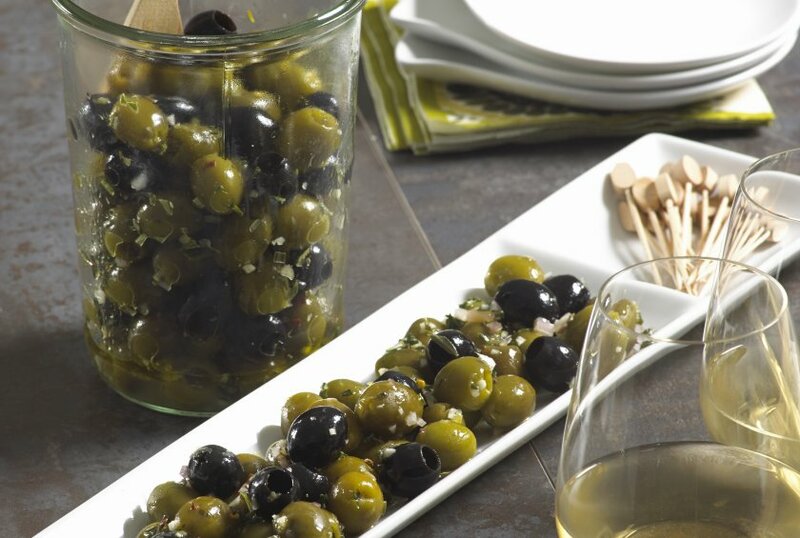 While you could make it with just Black Ripe Olives, Califronia Ripe Olives like mixing the black olives with Green Ripe Olives for a yummy buttery taste and great aesthetic. Add shallots and garlic and cook for 5 minutes, stirring frequently. Stir in lemon juice and vinegar and cook for a minute or two more. Add olives, herbs and red pepper flakes; cook and stir for 5 minutes or until heated through.